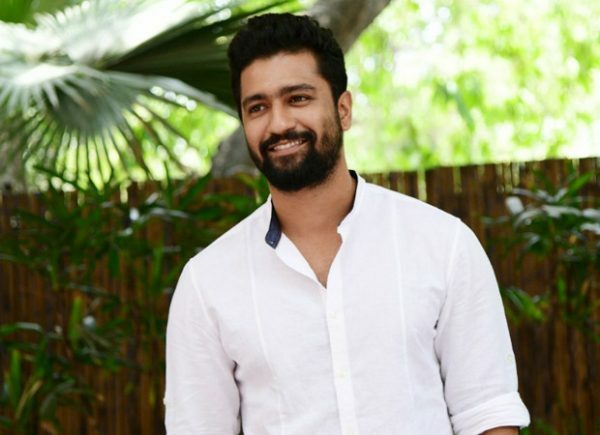 Vicky Kaushal, the star of 2018, is definitely living the dream. Ever since Masaan days to now becoming the breakout star, Vicky still feels he is grateful for the opportunities but has a long way to go. Sitting down with Bollywood Hungama, the actor opened up about starring in two Netflix movies, working in two blockbusters Raazi and Sanju, how 2018 has been so great for him and now starring in first love story Manmarziyaan directed by Anurag Kashyap. 2018 is the year of Vicky Kaushal. Two successes on Netflix with Love Per Square Foot and Lust Stories and 2 on the big screen with Raazi and Sanju. How does it feel to be a breakout star and everyone wants to work with you? I don’t know. I think it will take its own time to sink in. But, it is a beautiful phase not just for me but for my entire family. The family is really happy and looking at that happiness makes me feel really happy and that is when it really registers. I am just very grateful to all the filmmakers who gave me such good opportunities and such amazing films to be a part of. I am really happy and motivated to keep working harder. And I hope I keep getting opportunities to work with the filmmakers that I have always wanted to. These days when you hear a like ‘Vicky Kaushal hai film mein, acchi hi hogi film’, does it sink in how the audience is viewing you and admiring your work? It really is especially when you have worked so hard. When people say something like this, it really feels like a great validation. I feel blessed to have received so much love and appreciation. You recently said that if the stories move you deeply, you don’t worry about the part whether it is the leading role or not. From the very first film of mine, I realized the importance of a good story and a good screenplay. That is the game. Now, the audience has evolved in such a way that even if you do one scene in a very good film, people will Google you out. They would want to know more about you, they would want to know more about your work. So, since the beginning, I had that in mind that it is more important to be a part of good films than to keep seeing the length of the character that you are playing. If it’s not a good film and you are in every frame of that film, it is going be a waste. Even if you are doing a small part in a great film, it will work for you. So, all the credit goes to the audience also because they are involved in the stories in such a way that it is giving motivation to the writers to write such unconventional stories, explore unknown territories. It is a big compliment to everyone and not just the actors. All this is helping an actor like Vicky Kaushal to get such opportunities and the writers, directories, and producers to have faith in me. I think everything is coming together in a very beautiful way. And I just feel happy that I am in an industry where there is this beautiful phase of amazing stories. Coming to Manmarziyaan, you have been an AD on Gangs Of Wasseypur and then went onto star in Raman Raghav 2.0. Did you ever think you would ever be a part of a love story which will be helmed by Anurag Kashyap? I always prayed for (laughs). I feel Anurag Kashyap explores the depth and complexities of a relationship in beautiful way. He just gets into the details. He really puts the mirror in front of the society. If the people are watching this film and they would notice it is full of colour and full of love but at the same time, as a human being, everyone who is going through a relationship, is in a relationship would resonate with all three characters in the film. I was really praying for this day to come and when it came I was really, really happy. The dynamic between you and Taapsee Pannu looks so fresh yet so interesting. From chemistry reading to actually filming scenes, how did this pairing evolve? Three of us were like buddies like how you hang out with colony buddies. We were like that. We used to fool around and have fun on set. It was like that. Working with Taapsee Pannu and Abhishek Bachchan was like working with fire and ice. With Taapsee, she is very impulsive and just like her character Rumi. She herself admits that she is not a trained actor or does method acting. When you are working with her and are ready to give your take, she is very present in the scene and you don’t know what she will give you in the scene. So, you have to be very alive as an actor and react to her in the way she does. That really helps you be very alive and it is a great space to be in. It doesn’t feel monotonous and you get to learn so much. And that is how she is as a human being also. I have found a great friend in her. Working with Abhishek Bachchan, who has had enough experience in films, any incidents with him or experience you would like to share? Abhishek Bachchan, in reality, is such a gentleman. He is very chivalrous and loves to give respect to the people around him. He is a complete foodie, loves to talk about films. He is very grounded as an actor and as a human being. I have admired his work and performances in films like Guru, Bluffmaster and more. I finally got a chance to work with his beyond amazing. But, once you start working with him, he treats you like ‘we are in this together’. And that is his greatness. This set with these actors, Aanand L Rai, Anurag Kashyap, it just felt like a group of college kids having a lot of fun. You have sung “F For Fyaar” in Manmarziyaan. How did that happen? I have hardly sung anything at all (laughs). I am tripping over the fact that there is an Amit Trivedi song and I have two lines in it. I didn’t know they were going to put my name in it. I am just happy that I am a part of an Amit Trivedi song. Lastly, you are taking a huge step in period genre with Takht which stars Ranveer Singh, Kareena Kapoor, Alia Bhatt, Anil Kapoor, and Bhumi Pednekar. Has it sunk in yet that you got to a multi-starrer with Karan Johar as the director? It is a dream come true. Also at the same time, it is also a very big responsibility. But, at this point of time, you want to test yourself with these responsibilities if you want to grow as an actor and performer. I am looking forward to work with such amazing actors and Karan Johar. This a huge opportunity and I am excited.